The making of a barn find. Will AI robots be the ones to experience this in the future? And Mankind will be lost in an automated world and unable to drive for themselves? The story starts with a 2003 Mini Cooper that has been set up to race on the track. It’s been advance to 265 horsepower with a supercharged motor. Next we see a couple at retirement age name Bob and Susan purchase the car. And at first we’re ecstatic with the fun that they had. Obviously this was an attempt to recapture some of their youth and that’s what in fact it did. You see, Bob and Susan had been together for over 30 years and experience many things in life but had no children to leave anything to. Unfortunately one day during the Christmas season Susan had passed. And of course Bob was lost from that point on. And one of the things that transpired was Bob had placed the Mini Cooper in mothballs. Now years later the Mini Cooper had been sitting without even being started. His story is like so many others, where people in America were placing things in barns, garages or where ever and just forget about them. Then at some point of time we see people who transverse from coast to coast or just their local garage sales looking for these golden nuggets of a life from the past. We see this is now more popular than ever due to the fact that shows like Pickers, Storage Wars and many others prime time shows seems to be a craze for the last decade or so. So back to the Mini Cooper, think about in the future when citizens of the United States are driven by autonomous vehicles. Now think about at that point maybe there will be AI robots walking amongst us and looking for the history from which mankind came from. We see a part of our culture and history in America encompass by the automotive lifestyle. You’ve seen for many years, people like Jay Leno and the average person like me go every Friday night to Bob’s Big Boy in Toluca Lake. The history goes back to my father’s day and before. People would meet at these places and take the cars and would literally street race on Mulholland Drive, the grandstands, Dead Man’s Curve and Van Nuys Blvd. So in order for an autonomous AI to experience and learn for itself, it will possibly seek out these things as mankind had. Now imagine this, an AI robot and a man or woman show up at Bob and Susan’s house wanting to inquire about this barn find called a Mini Cooper. Will the man or woman at this point in time be able to even drive a stick shift let alone even know what it is? I would think that the AI will obviously retain information programmed into it, plus its self-learned data. It’s a scary thought that Humanity will lose some of its 19th century 20th century existence. 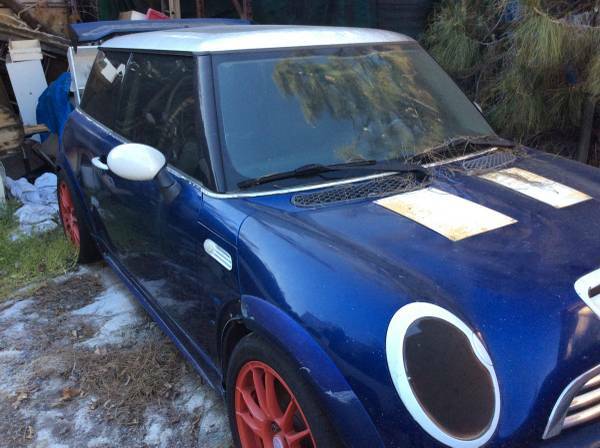 I found these photographs of the Mini Cooper for sale on the site Craigslist. It had the phone number 818-980-9322. So I would like to end this little article wondering if a human or an AI robot we’ll carry on the experiences of Bob and Susan. Even if they never hear of either one of them, it would be nice for someone to experience that part of our culture that appears to be dying.